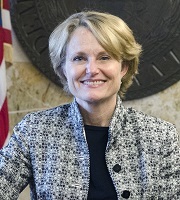 Professor Margaret Cordray joined Capital in 1992. She currently teaches Evidence, Contracts, and Interviewing & Counseling. Since entering teaching, Professor Cordray has published on a wide variety of topics. Most recently, she has written a series of articles on the Supreme Court, focusing mainly on how the Justices select the cases that the Court will review. Courts, scholars, and journalists have relied on Professor Cordray’s scholarship in writing their own materials. In 2010, Professor Cordray established the Foreclosure Mediation Preparation Project at Capital. Through this project, students meet individually with homeowners to help them prepare to represent themselves in foreclosure mediation. Students have assisted over 400 homeowners through this program.